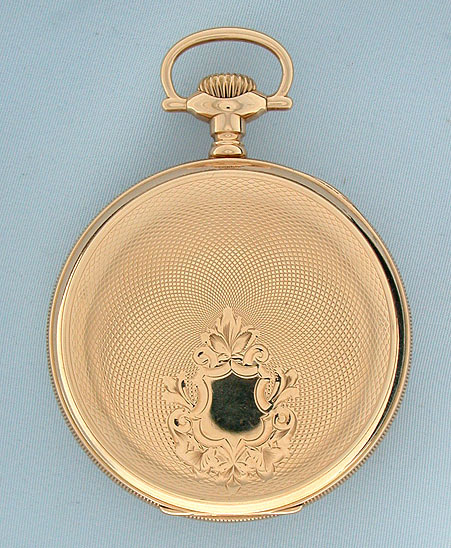 Fine Elgin 23 jewel Veritas 16/S 14K gold antique pocket watch with unusual dial circa 1919. 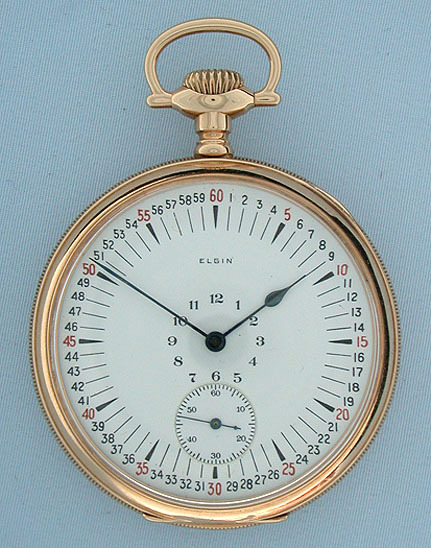 Very attractive dial with red and black numerals and blued steel hands. Engine turned case. 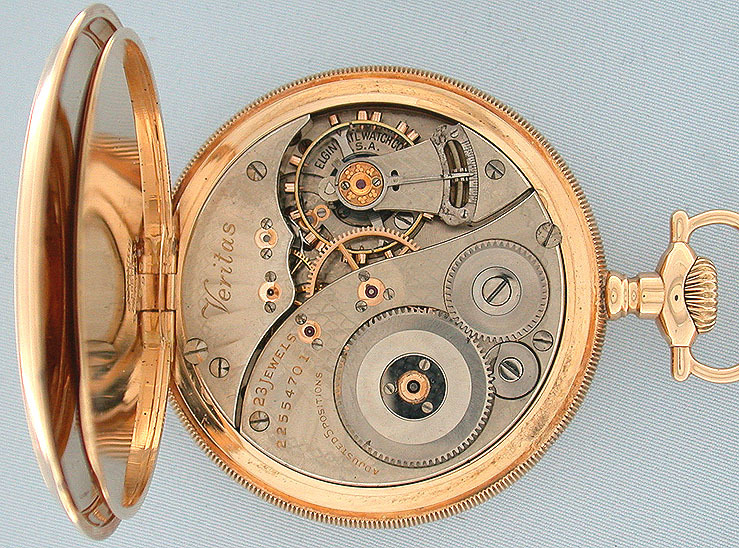 Nickel 23 jewel movement with screwed gold jewel settings.